← How Much Does a Lawyer Cost for a Florida Criminal Case? 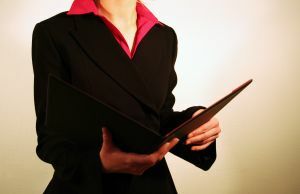 Successful female lawyers are more than a pretty face. There are many Florida attorneys and judges that work hard to establish a place in the legal world and to better the community. A successful female lawyer for women is more than a pretty face. There are many Florida attorneys and judges that work hard to establish a place in the legal world and to better the community. I just watched a documentary called “Miss Representation” which showed the portrayal of women in the media and in society. I knew that the media has unreasonable expectations of women. I knew that women are underrepresented in the government. I knew that a woman’s appearance appears to be valued more than her brain. However, I never realized the hidden discrimination and how powerful the television, magazines, and Internet really are. Before I opened my own Florida law firm earlier this year, I was worked as a Jacksonville criminal defense attorney at the Duval County Public Defender Office. I worked with many female lawyers and very brilliant women. I took it for granted. Because this was my first job as a Duval County lawyer, I thought that this was normal. It is not. These criminal attorneys set examples for me. They were my mentors. When I opened my Jacksonville law office, people would say, “I love seeing a successful women.” I did not think much of it. I knew that I wanted to be my own boss. I wanted to make the decisions for myself, instead of following the thoughts and procedures of a big law firm in which I had no decision-making power. I never thought that I was setting an example for other Jacksonville lawyers that were women. I never thought that our actions help pave the wave for high school girls and young ladies in college. Michelle Kalil, Duval County Judicial Candidate, is a former public defender. I had the pleasure of working with her. She was a mentor and leader to other attorneys in her division as a division chief. After serving the public, she became the owner of her own firm. Not only is she an excellent attorney, she is also a wife and mother. She is currently running for County Judge Group 12 in Duval County, Florida. The Honorable Angela M. Cox, Duval County Judge, “was appointed to the County Court Bench in 2005 by Governor Jeb Bush. Prior to her appointment, she served as an Assistant State Attorney in the Fourth Judicial Circuit. During her tenure in the State Attorney’s Office, she was a part of the Homicide Team, Special Assault Division, and the Repeat Offender Court. She completed her Prosecutorial career as a Division Chief in County Court. Judge Cox serves on the video faculty of the Florida Judicial College and serves on the faculty of the Prosecutor/Public Defender Training Program at the University of Florida College of Law.” She was the first judge that I practiced before. She took the time to make sure that I learned proper courtroom procedures. She gave me the confidence that I needed to succeed as a good lawyer. The Honorable Linda M. McCallum, Duval County Circuit Court Judge, was appointed by Governor Bush to the Circuit Court bench. She “had been a County Court Judge since being appointed by Governor Chiles in 1994. Judge McCallum has served as Administrative Judge for the Fourth Judicial Circuit in County Court and as the circuit representative to the Conference of County Court Judges. Judge McCallum is a member of the Jacksonville Bar Association and has served on the JBA”s Long Range Planning Committee, the Judicial Relations Committee and the Committee on Special Needs of Children. She is also a volunteer mentor for Lutheran Social Services. She is a member of the Florida Bar and has also served as vice-chairman of the Criminal Rules Committee of the Florida Bar.” I practiced in her courtroom for a year and a half. She showed me that you could be an attractive and caring woman, while still being strong, smart, and fair. The Honorable Eleni Derke, Duval County Court Judge, became a judge in 1995 after she won the election. When she was twelve years old, she moved to America. She “struggled though a difficult first year in America, learning the language and the culture. Twelve years later, she graduated from Stetson University with her law degree — with honors.” Not only is she a judge in Jacksonville, she also teaches yoga. She is a wonderful example of a dedicated female judge that balances life and her duty to the bench and the public. After practicing as a Jacksonville criminal lawyer for years, I could go on with a list of women that I made a difference in my life. If you have not seen Miss Representation, rent it.